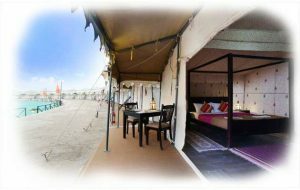 Inspired by the legends of Sarangkheda, the Tent Accommodations are designed to reflect the rustic glory with a modern twist. 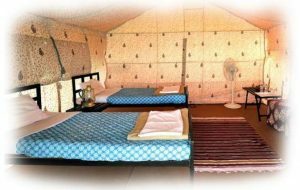 The Chetak Village is made up of 60 luxury Swiss Cottage Tents that are set-up with meticulous precision in AC & Non-AC variants. 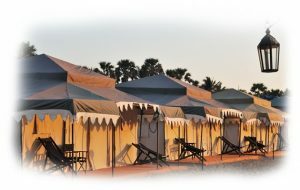 Discover the world of horses while residing in plush interiors, graceful décor and luxurious amenities.Elegantly furnished and equipped with the latest amenities, each tent ensures lavish comfort for every guest. Feel welcomed at the fully air-conditioned thematically designed reception area. Apart from indulging in various activities, spend time at the Club Area that’s equipped with Pool Tables, Table Tennis Tables, Foosball Tables, Chess, Carrom, Darts, other family board games, and more. After an exciting day amongst the horses, unwind at the rejuvenation center to pamper your senses.Relish the delectable Maharashtrian Cuisine at the Riverside Bar & Dining Restaurant. An array of dishes created to excite your taste buds are presented harmoniously on each plate. The entire experience lets you relive the rusticexperience in all its timeless glory.